SimpleView® Publishing LLC publishes downloadable electronic publications in the nature of articles and excerpts from books, all in the fields of religion and theology; downloadable audio and video recordings featuring sermons, music or other information, all in the fields of religion and theology; Pre-recorded digital storage media in the fields of religion and theology. SimpleView® Publishing LLC also publishes printed publications and printed matter, namely, flyers, articles, excerpts from books, and educational materials, all in the fields of religion and theology. SimpleView® Publishing LLC also provides on-line publications, namely, articles and excerpts from books, all in the fields of religion and theology. The name SimpleView® is trademarked in the field of religion and theology as described above. 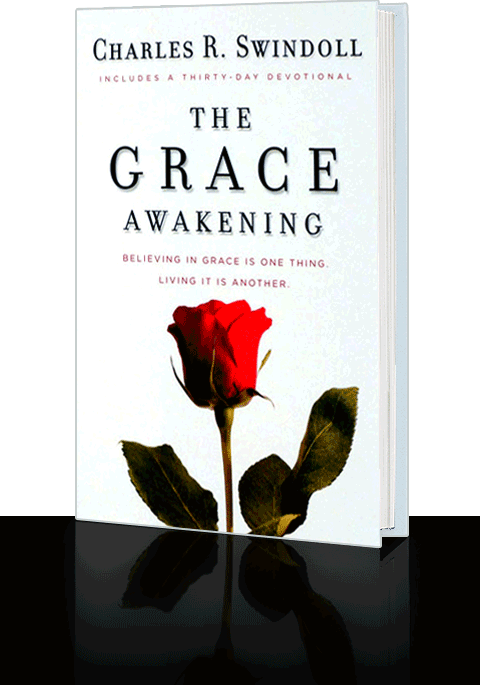 Discover the life of grace that is possible for the believer? How to tell those who have not yet believed about Jesus' promise of eternal life. Discover in John 3:16, the simple yet profoundly deep promise by Jesus to give eternal life to all who believe in Him. The promise can be believed by a child, yet the most intelligent Christian can spend a lifetime plumbing its depths. Discover the life of grace that is possible to the believer. We recommend these two classics that give a breath taking overview of the life of grace, and what it can mean to live with gratitude and assurance about our eternal destiny. 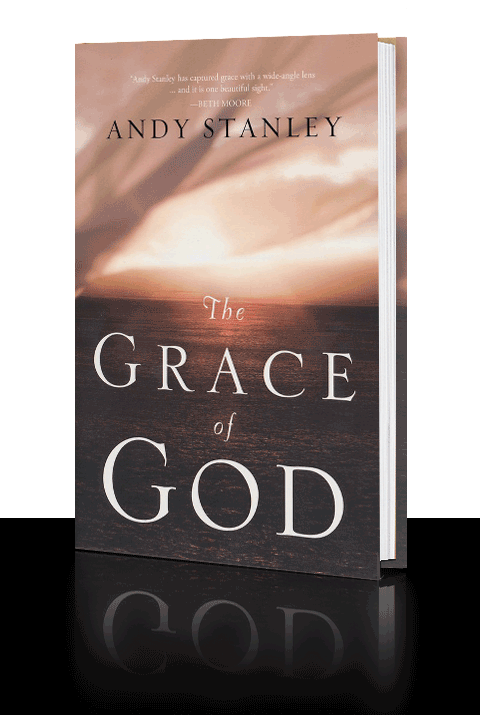 The Grace of God, by Andy Stanley, published by Thomas Nelson. Andy Stanley is a pastor, and author, and the founder of North Point Ministries (NPM). Since its inception in 1995, North Point Ministries has grown from one church to five in the Atlanta, Georgia area and has developed a global network of more than 30 churches. Each Sunday, more than 33,000 people attend worship services at NPM's five Atlanta-area churches. The Grace Awakening, by Charles R. Swindoll, published by Thomas Nelson. Charles Swindoll has devoted his life to the accurate, practical teaching and application of God’s Word and His grace. In 1994, he became president of the Dallas Theological Seminary and now serves as its chancellor. A pastor at heart, Chuck has served as senior pastor to congregations in Texas, Massachusetts, and California. Since 1998, he has served as the founder and senior pastor-teacher of Stonebriar Community Church in Frisco, Texas. John 3:16 is among the most influential verses in the bible and by this verse many people have believed in Jesus' promise of eternal life. This same promise is found several times within this same book, the Gospel of John. Did you know that the author's purpose in the Gospel of John is to give those who have not yet believed reasons to believe in Jesus? The John 3:16 Promise - He loves. He gave. We believe. We live., by Max Lucado, published by Thomas Nelson. 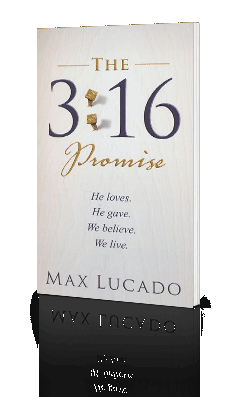 In this 64 page evangelistic book, Max Lucado leads the readers word-by-word through John 3:16, the passage that he calls the "Hope Diamond" of scripture. It's the perfect way to introduce the gospel to friends and acquaintances through Max Lucado's warm and easy to understand writing style. Experience God's grace and plan of salvation for the first time or use this booklet to share the message of hope with someone you know. 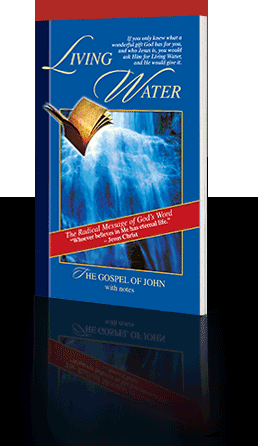 Living Water - The Gospel of John with notes, published by The Living Water Project - a ministry of Absolutely Free Inc. This booklet, takes the world’s oldest and best “tract,” the Gospel of John, and puts it in an attractive, easy-to-read translation with a series of footnotes designed to explain key passages in the text to unbelievers as well as to new Christians. The notes are written from a grace perspective, and thus enhance, rather than hinder, the original message of this most wonderful of all books. The Gospel of John is the only book of the bible whose express purpose is evangelistic. See John 20 : 30-31 "Jesus performed many other signs in the presence of His disciples that are not written in this book. But these are written so that you may believe Jesus is the Messiah, the Son of God, and by believing you may have life in His name." John 3:16's promise of eternal life to those that believe in Jesus, is a foundation of grace oriented theology. Learn how this promise fits into the Bible's doctrine of salvation. 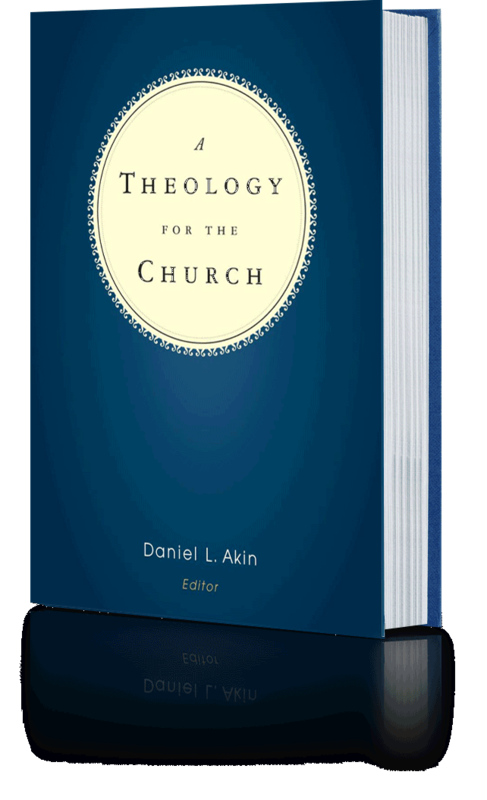 A Theology for the Church, by Dr. Daniel L. Aiken, editor, published by B&H Academic. This is an immense 992-page work with contributions from leading Baptist thinkers addressing four major issues in regard to eight Christian doctrines. The issues addressed; What does the Bible say? Each Christian doctrine is rooted in the Bible’s own teaching in both the Old and New Testaments. What has the Church believed? Christians have interpreted these doctrines in somewhat different ways through the centuries. How do the doctrines fit together? Each Christian doctrine must cohere with the other doctrines. How does each doctrine impact the church today? Each Christian doctrine must be meaningful for today’s church. It’s sure to become a widely-used resource in systematic theology study. Chapter 12 titled "The Work of God: Salvation" by Dr. Kenneth Keathley does an excellent presentation of a grace oriented doctrine of Salvation and shows how others have interpreted the doctrine. 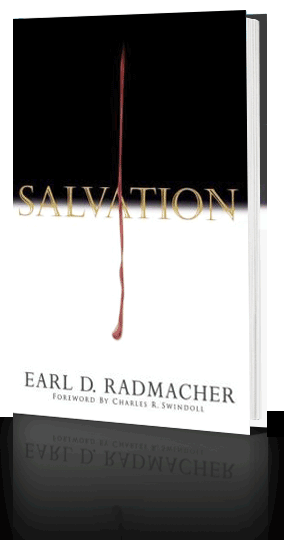 Salvation, by Dr. Earl D. Radmacher, part of the Swindoll Leadership Series published by Thomas Nelson. In this volume Dr. Radmacher offers an in-depth and "Free Grace" look at this most fundamental element of the Christian faith, the doctrine of Salvation. From defining the essentials of salvation to explaining the result of Christ's sacrifice, this book walks readers through the spiritual meaning, motives, application, and eternal result of God's work of salvation in our lives.